Casa do Vidro in Bonito, Mato Grosso do Sul, Brazil is a creative initiative that reuses discarded glass and repurposes them into objects of beauty, all of which are for sale. 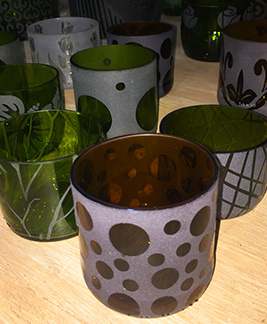 The brainchild of founder Carlos Cardinal, the focus of Casa do Vidro is to reuse, recreate, and repurpose everyday discarded glass bottles, jars, and other glass objects into new, usable and attractive decorative and functional designs. In an area renowned for sustainable ecotourism, Casa do Vidro is a shining example of what can be achieved with inspiration and initiative. Memorable is the best word to describe our dining experience at Restaurante Marruá in Bonito, Mato Grosso do Sul, Brazil. 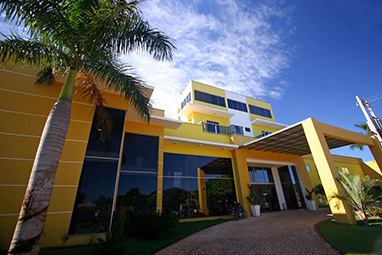 Set inside the upscale Marruá Hotel, the restaurant gets high marks for the quality of their kitchen and inspired cuisine from the talented Chef Sylvio Eduardo Trujillo. Attractive surroundings and attentive, professional service complement the inspired Contemporary and Regional cuisine from this gastronomic kitchen. 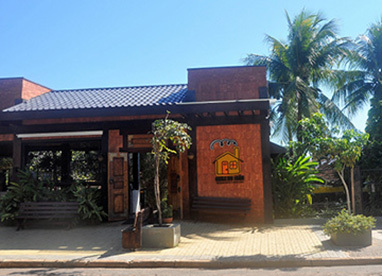 The family-owned Restaurante Casa do João located in Bonito, Mato Grosso do Sul, Brazil opened in 2007, and is located steps away from the Praça da Liberdade with its large fish sculpture and the Aquário de Bonito. The charming restaurant has a lovely fruit-tree laden garden, a shop filled with artisanal gifts, and a whimsical museum where true antiquities are mixed with "recent museum items" such as cassette tapes, 8-track tapes, and even old computer monitors. The food is delicious, and the ambience is welcoming. 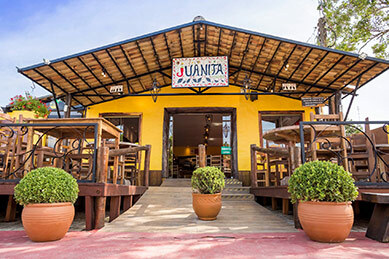 For our first night in Bonito, in Mato Grosso do Sul, Brazil we had a lovely dinner at the family-owned attractive Juanita Restaurante. For Chef Juanita, the restaurant is a childhood dream come true. Arriving in Bonito in 2006, she opened her eponymous restaurant in 2014. Having an ancestry of French, Italian, and Paraguayan, she brings a rich culinary background to the table. 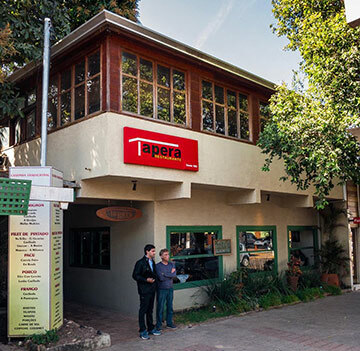 Tapera Restaurante is a charming restaurant located in the center of Bonito, in Mato Grosso do Sul, Brazil. Once a part of the state of Mato Grosso, Mato Gross do Sul became a state in 1979, and the restaurant is one of the oldest in the state. A large tree grows in the center of the inviting outdoor dining space of the restaurant adding charm and character, and firmly establishes itself as a restaurant to stay. Owned by restauranteur and poet Antonio Carlos Silveira Soares the restaurant is a welcome respite in a city of great cuisine. 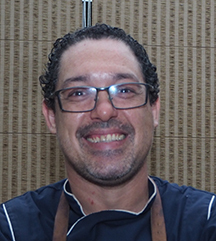 The oh-so talented Chef Sylvio Trujillo of the upscale Restaurante Marruá in Bonito, Mato Grosso do Sul, Brazil takes time from the kitchen to speak with Luxury Experience after a gastronomic evening of dining. 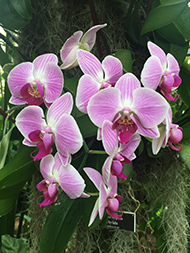 Located inside the stunning Marruá Hotel, Executive Chef Sylvio Eduardo Trujillo runs the state-of-the-art kitchen with style, grace, and inspired cuisine where the focus is on Contemporary and Mato Grosso do Sul Regional Cuisine. Chef Sylvio Trujillo graciously shares his recipes for Seared Salmon in a Sesame Crust, and Grilled Brazilian Catfish with Mashed Cassava "a la Plancha." O talentoso Chef Sylvio Trujillo, do sofisticado Restaurante Marruá in Bonito, Mato Grosso do Sul, Brasil, leva um tempo na cozinha para falar com a Luxury Experience após uma noite gastronômica de jantares. Localizado dentro do deslumbrante Marruá Hotel, o Chef Executivo Sylvio Eduardo Trujillo dirige a cozinha de última geração com estilo, graça e culinária inspirada onde o foco é a Cozinha Regional Contemporânea e Mato Grosso do Sul. Chef Sylvio Trujillo graciosamente compartilha suas receitas de Salmão Selado em Crosta de Gergelim e Pintado Grelhado com Purê de Mandioca "a la Plancha". 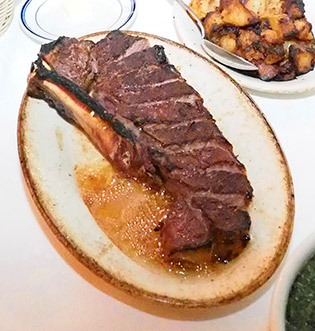 Tuscany Steakhouse where the culinary focus is American (Traditional) Steakhouse and Italian cuisine is the perfect blend for "land" and "seafood" dining. 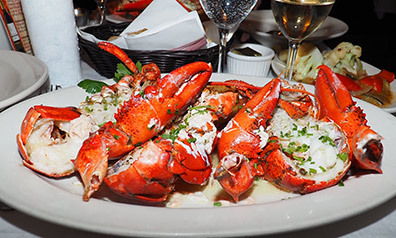 With 1-year under its culinary belt, the attractive, upscale restaurant located at 117 West 58th Street in Manhattan just steps away from Central Park and the Theatre District is garnering its share of attention from locals as well as visitors.